If you belong to one of our existing Partner Churches, please see this page. Apply and provide two references. We use this process to protect the families in Kampala. Typically it takes 2–3 weeks to process applications. and to build a fund ready for the starting date. From the beginning they’ll receive bunk beds, mattresses, mosquito nets and other necessities. We’ll email you right away with a family profile and some letter writing prompts so you can start getting to know one another. Plus Gift Aid for taxpayers. What if I can no longer continue to support my Ugandan family? What does Finishing Well mean? What is a Focused Child? What about secondary school education for the other children? What is the Christmas Celebration? Can I meet my family? How often do I need to communicate with my family? How do I know my money is making a difference? I’ve got an idea — how do I share that with you? Do I have to be a Christian or attend a church to become a family partner? How long does it take to be linked to a family? When you join Karis Kids you partner directly with a family in Uganda, whose needs are unique to them. For this reason you can expect a commitment for around 5 to 10 years. As the years progress, our strategy changes to help the family support themselves, which is known as our “Finishing Well” programme. We budget for this in your monthly donation from the beginning. Whatever the reason, it’s not a problem. Karis Kids will take responsibility to ensure there is continuity of funding until a new donor is found. The overall cost is £100 per month, plus Gift Aid for taxpayers. This provides 100% of what’s needed to support your Ugandan family. With UK taxpayers, Gift Aid helps fund the Karis Kids team in Kampala who deliver our services and coordinate events. Explanations of our terms (i.e. ‘Finishing Well’) are answered below. Find out more about our “Finishing Well” programme. A ‘Focused Child’ is the child chosen to receive further education after primary education. This includes secondary education and, depending on their chosen course, practical vocational training or university. Only one child in the family is guaranteed this support through Karis Kids because of the higher expenses of further education. This child will be supported through to employment in any way possible so that the family can be self-supporting and finish well. At the appropriate time we will tell you the costs but you only contribute if you want to. Sometimes the carer of the family is in a position to help or cover all the costs. Secondary education, vocational training and university costs vary depending on their chosen path. Typically it’s around £15–30 per month, but this depends on your family’s needs. Some of that cost will be subsidised from your family donation. To date, because of additional generous donations, every single child who has wanted to pursue further education has been able to do so. A 4-day summertime camp we hold every other year for Karis Kids children between the ages of 9–19. 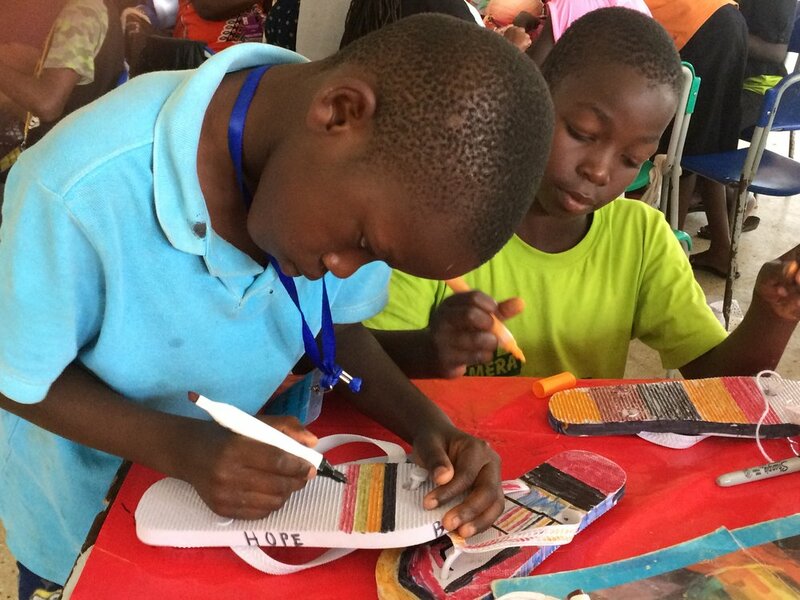 The Summer Camp, held in Kampala, involves prayer, worship, mealtimes, crafts, games, sports and time learning from the Bible… as well as a great deal of fun! 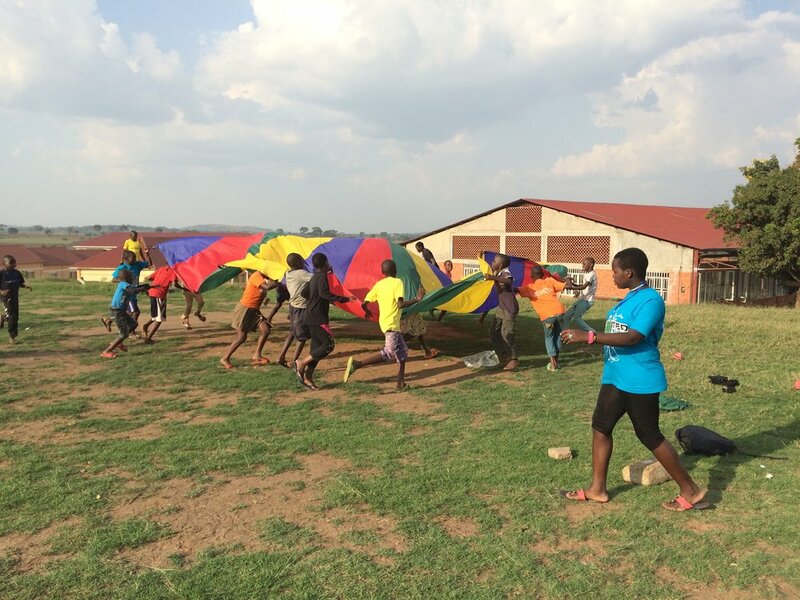 Many of the children say the camp is the highlight of their year and often forms a pivotally important part of the children’s faith journey. In 2018 our theme was ‘Endurance,’ which looked at “fixing our eyes upon Jesus” as described in Hebrews 12:1–3. We hosted 293 children. Every December, all the families come together as one big Karis Kids family to have fun and celebrate the birth of Jesus. Many letters and gifts are received by the Ugandan families from the UK. Yes, small gifts can go via the Karis team in Kampala to be delivered to the families. We especially love delivering gifts in time for the Christmas Celebration in December. We will be in touch in November each year with a few suggestions. All gifts and correspondence go through the Karis Kids office in Kampala. Also known as a, Church Community Mobiliser. Community Workers work for both the local churches and the Karis Kids team in Kampala. Our community workers visit each family, collect reports, deliver letters and provide ongoing pastoral support. Yes! There are opportunities to serve at our Summer Camp every two years, when family visits are arranged. It would be ideal to write letters, emails or record a short video 2–3 times a year. We’ll be in touch to remind you when. You will likewise also receive regular letters and messages from your family in Kampala. 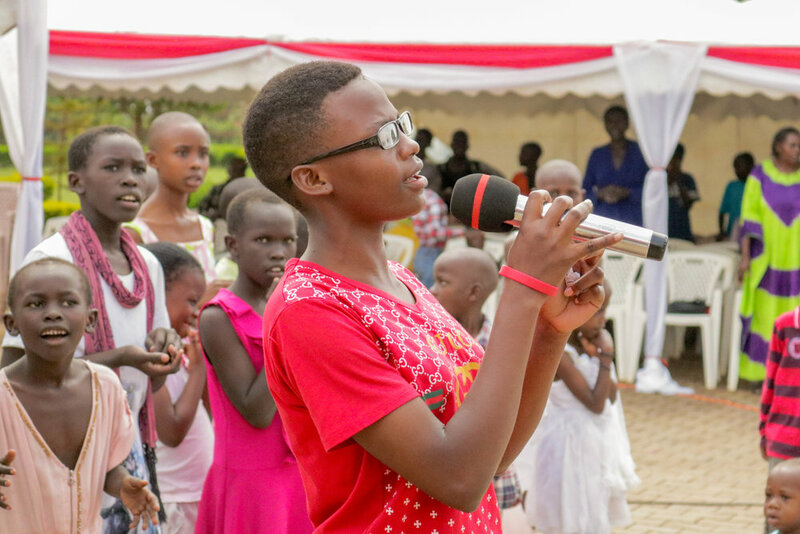 Karis Kids produces updates on each family from time to time but your letters from Kampala will tell the story of how they are doing. Emergencies, such as health issues, will be communicated to you as well. Please send us a message through the contact page. No. While we are a Christian charity and encourage all our Family Partners to pray for their family in Uganda, we do not make this a requirement. We, however, do require you abide by Karis Kids communication guidelines when you communicate with your family. It takes about 2–3 weeks for us to process new applications and, if successful, a further 3 months (approximately) while your family completes our selection process.